This Old English Riddle is for school going Kids. This Riddle is very old and I have come across this English Riddle many times. In this Riddle you have to tell what is yellow outside and white inside. You may be seen this many times in your daily life. Lets see if you can find it out What am I? 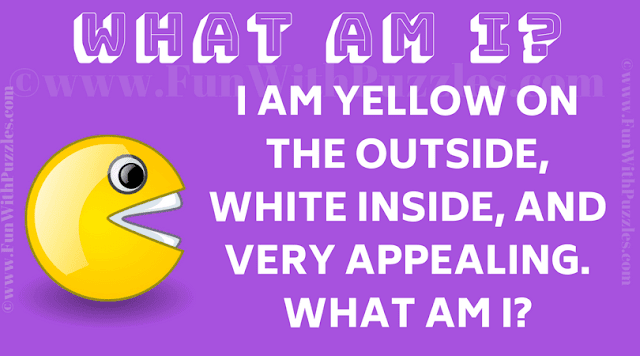 Can you find it out What am I? Answer of this "Old English Riddle", can be viewed by clicking on answer button. Please do give your best try before looking at the answer.